The application for a Social Security number and card is sometimes overlooked in the paperwork that parents fill out in preparation for a child’s birth. Typically, the hospital will ask new mothers if they want to apply for a Social Security number for their newborn as part of the birth registration process. This is the easiest and fastest way to apply. The Social Security card typically arrives about a week to ten days after that little bundle of joy! You can learn about Social Security numbers for children by reading our publication, Social Security Numbers for Children. Family resources are also considered. If the parents of the child or children have more resources than are allowed, then the child or children will not qualify for SSI. You can read more about children’s benefits here. Visit our Kids and Families page to learn more about all we do to care for children. Social Security is with you and your children through your life’s journey, securing today and tomorrow. This entry was posted in Uncategorized by Jim Borland, Acting Deputy Commissioner for Communications. Bookmark the permalink. Children don’t have to be disabled to collect Social Security disability insurance benefits. If the Parent is disabled, then their children could collect up to 50% without having any disability. Disability Insurance should pay only the workers, not their children. The worker only paid 12.6% FICA taxes like everyone else. They didn’t pay any additional taxes to cover their children. 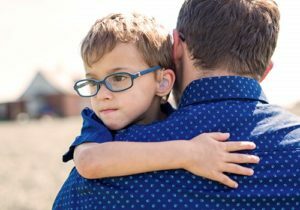 Social Security disability insurance benefits are being used to pay the disabled workers child support for children who don’t even live with them. They claim they are providing 1/2 child support and the taxpayers have to pay an additional 50% to their children. Retirement Planner: Benefits For Your Children. Just a reminder – We do not have access to personal information in this blog. Please be cautious about posting personal information on any social media channels. When living abroad please contact your local U.S. embassy or consulate for any assistance related to your Social Security benefits. Thanks! The children can collect benefits now, but they won’t have any retirement because Social Security will be broke when they hit retirement age. Long Before!! Already Far in Red!!! yes, thank you, we asking support ,assistance, here we are suffring a lot , here people suffring by pouverty , yours , coordinator MUHINDO KIKHA GEDEON. Request from another country apparently! Hi Akita, if you need proof you get Social Security benefits, Supplemental Security (SSI) Income or Medicare, you can request a benefit verification letter online by using your my Social Security account. the gift to children “security” is noble , I have that security, and I am 75. It’s all I have to live on, but without that, what would I have ? Thank you social security . My nephew is a recent orphan. His mother was getting a check on his behalf. With her death his older brother was appointed his guardian. The appointment was deemed invalid as it was not in the home county in Ok. The home county requires a lawyer involvement for $4000. He turns 18 in March 2018. His payout from now to Feb is about $4000. Once he turns 18 can he draw the back pay? Or does he need to get a guardian now? Medicare cost increased about the same as SS cost, so about zero extra altogether! Every child can learn a skill and that will provide an income for them as they become adults. Why give them something and never expect them to work because that’s what will happen to them the easy life. I have three adopted children who have disabilities. In Apr. of 2017 we recieved a letter for each child in the mail showing an increase in funds . I have never seen the increase…and have contacted Social Security for months trying to get information and all I get is “it’s being worked on”. We contacted Senator Hatch’s office in Nov…..and the same run around. I am seriously considering going to the news media regarding this situation because Social Security doesn’t seem to care about children and their benefits. Any other business accountants would have been fired for not paying their debts…some one is dumber than a box of rocks. If this were you would you like it. It’s really nice you can post these articles but in my opinion…it’s all a lie. No one cares about the well being of the elderly or the children. You get your pay check…we are now 18 months and waiting…waiting…waiting. No one returns our calls…no one DOES ANYTHING. Anyone who reads this remember Social Security does not care about our kids. Those in charge are obviously incompetent idiots. The worst part is it is like being held HOSTAGE BECAUSE WE ARE AT THEIR MERCY!!!!! My point is that I agree, the ones running the show don’t give a fraction of a damn for us, our well being, our children, or our future. It’s sickening. And that’s an understatement. nowadays you have to equil welfair mamas and deadbeat dads alotment of dependents / tax wrightoff socialsecurity # the system is not ment to Be Used as a sole provider 4 income. What percent of SS recipients are investigated for fraud? How many Millions of our tax dollars are wasted on them?? Hi Martha, visit “Social Security: Protecting Your Investment” for information on this topic. Thanks! I am currently receiving SS payments as a retiree. I am 68 years old. I live in Guatemala part of the year (winter months) and have a woman who is pregnant with my child. I was told by a a accountant that there is a provision for the USA to provide support for children born to citizens beyond the age of 62. Is this correct? If so, where can I find the information? Thank you. Thank you for promoting diversity in this pictures! I loved seeing this sweet little boy’s Hearing Aid’s (or they could be Cochlear Implants, it’s hard to tell). My 6 year old uses Cochlear Implants and pictures like this highlight everyone’s differences. Hi Yecenya! Please visit our Frequently Asked Questions web page for information on this topic, Thanks.